Which is why conditioning and shampoo really just does not matter for men at all. Most men get a haircut every month, and some even more often than that. If your hair only needs to be healthy for a month before it’s essentially replaced, then no matter what you do (or don’t, in the case of shampoo) you’re going to be okay. It’s going to look pretty good no matter what. For women (and the occasional man) who grow out hair for 10+ months at a time before getting any haircuts, maintaining hair in a healthy state is far more important; which is why choosing a shampoo and conditioner that matches one’s particular trichological needs is actually pretty important. There are many axes of classifying hair, but the two most important are curly-ness and porosity. Let’s start with curliness, which is pretty obvious. 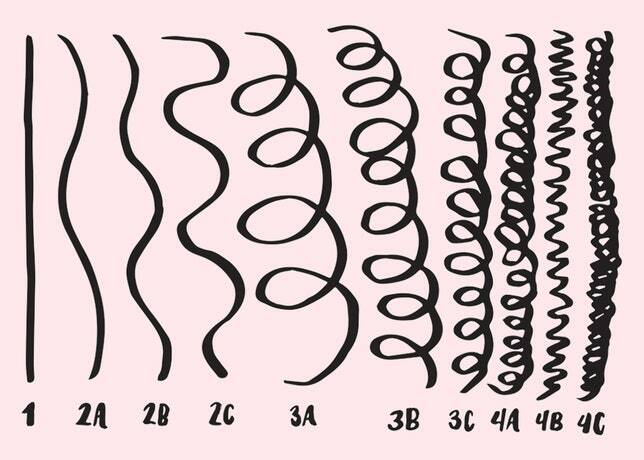 Starting from least curly to most curly, most trichologists have classified hair on a simple number scale from 1 to 4, with each section having sub-categories called ‘A’, ‘B’, and ‘C’. So 1A would be the least curly, with 4C being the most (some argue for a ‘D’ classification, but that’s neither here nor there). Curls.com has a great article detailing all the various differences and provides images detailing each kind of hair. For me, I fall somewhere between 3A and 3B. Most people actually have multiple types of hair (I have a few strands of 2B near the front of my head), but finding an overall reasonable match usually suffices. The other axis that’s very important is porosity. Porosity is your hair’s ability to absorb moisture (and nutrients). Very porous hair absorbs nutrients quickly, and low porosity hair does not. The standard test usually involves taking a bowl of water and dropping several strands of dry, clean hair. If the hair sinks immediately, then the hair is very porous. If it floats in the middle before eventually sinking, then it is of normal porosity. And if it floats at the top for a while before sinking, then it is low porosity. Porosity is determined by how tightly your cuticles are aligned to your hair’s overall curvature. Gaps in the cuticles allow moisture to come inside (and nutrients). Porosity levels determine how often you should shampoo versus condition. Low porosity hair can handle being shampooed a bit more frequently, since you will not lose nutrients of moisture. High porosity hair, while absorbing nutrients more easily, will also lose them. So it’s far more important not to shampoo too frequently and instead condition often. Low porosity hair should avoid shampoos or other products that have low pH - high pH (acidic) substances are more healthy for low porosity hair and helps keep them closed. The same is certainly not true for high porosity hair though. Researching and finding shampoos and conditioners that meet your particular hair’s needs is far more important than anything else. I was mildly surprised at how much actual evidence there is to show how different kinds of materials affect hair’s health - I mostly suspected it was a marketing ploy (don’t get me wrong - for people with short hair, it most certainly is). In the end, I found that for my above-average porosity type 3B hair, the best conditioner was As I Am Coconut Cowash, and the best shampoo was Shea Moisture Raw Butter shampoo, which is really good for above-average to high porosity hair. Butter in general is very good to help seal up some gaps between the cuticles. My hair is currently about 7 inches long (at the shortest portions). Overall, it was a very interesting experience, and while I probably won’t keep it long (maintenance is simply a bit too much I think, and also it’s exceedingly hot with longer hair), it was fascinating learning so much about it all. One benefit, though, was how everyone automatically assumed I was an expert at surfing. :) But that’s a story for another day.